For small businesses out there that focus on medical issues–dentists, chiropractors, family practitioners and so on–there’s a great new iPad app out there that will offer up a new way to help on that front, and it’s called Drchrono. 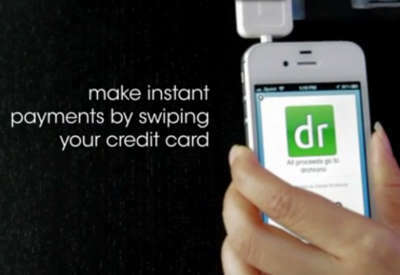 Drchrono provides a variety of useful features for medical professionals, including payment processing via the iPhone–users will also have to have a Square card reader in order to take payments with it, though–and a real-time system to check insurance eligibility. It was already a freemium SaaS solution setup, and also offered the ability to write and even dictate notes by audio recordings, write prescriptions and sent them to pharmacies, access lab test results and even add new health record information to patients’ health records. This actually, according to reports, represents the first time that real-time medical information can be made available via an iPad application. Admittedly, there have been standalone solutions that did similar tasks for mobile devices, the iPad had yet to feature a solution like this. Given the growing prevalence of iPads and similar tablet devices in the medical fields, it’s not surprising to see apps launch specifically for the medical field. And since a lot of small businesses out there have some kind of link into the medical field, it’s especially reasonable to see apps come out for them as they handle much of their own billing and the like completely in house, and sometimes with only a minimal support staff to help out. Of course, in a situation like this, having access to billing and insurance capabilities is a very smart idea indeed, but keeping access to cloud based telephony features like hunt groups and find-me follow-me systems will ensure that customers get quick and easy access to the people they need to talk to and in a good, rapid pace. Having those tools in hand will make customers happier to contact your business, and make them less likely to spend a long time waiting on hold, and more time getting their business accomplished and going about their other business. While Drchrono will only be useful for a very small subsection of the small business community–specifically the subsection that has anything to do with medical purposes–it’s clear that having access to that many powerful and useful tools in one easy to work with package is going to prove very valuable indeed. 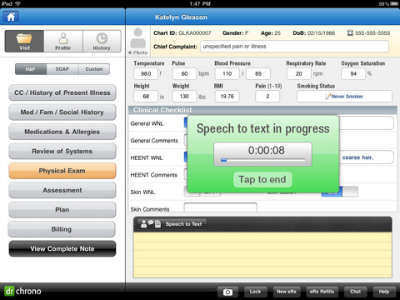 Thus, Drchrono is going to be something that most every small medical office should look into.